Hide forums the user set to hide. Hide forums the user set to hide. 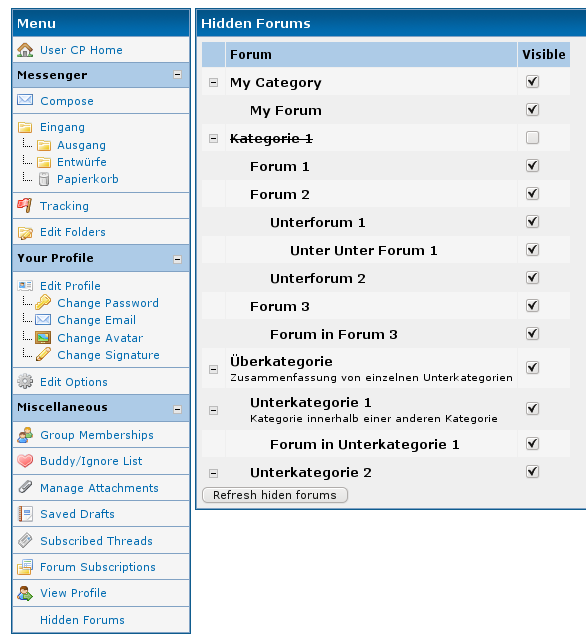 The user can set at the User CP which forums he want to set as visible and which to set as hidden. This is done by adding a little CSS code to each forum which should be hidden. This Version should work for MyBB 1.4 too.